Nowadays Siti Cable and Siti Broadband are available at Nalhati, Birbhum, West Bengal, India. If you want to connect the Siti Cable at Nalhati then its 'set top box' with connection charge Rs.1300 and monthly charge Rs.100. Also you can connect Siti Broadband Indinet then you need connection charge Rs.1500. *All plans are valid for 30 days only. *Peering means Streaming & Peering Bandwidth. *MAIN USP - HAPPY HOURS From 1 A.M. to 7 A.M. you would get Double the speed. **Give here every plan price are including all tax. Siti Broadband internet connection is also available at Nalhati, Birbhum, West Bengal. 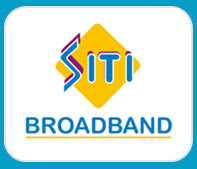 I meet the Siti Broadband connection operator's boy and collect their packages slip and some details. They are saying every time available this net connection. *Give here every plan price are including all tax. *Evey Unlimited & Limited Plan Validity 30 Days.